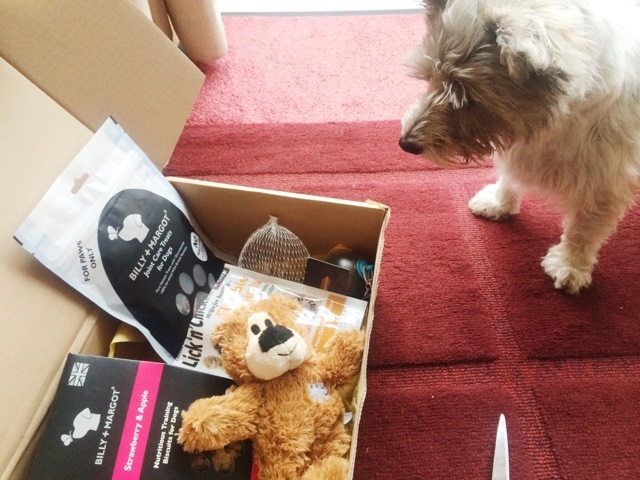 It's a beauty thing: Woof-Box - A Monthly Subscription Box for Dogs? 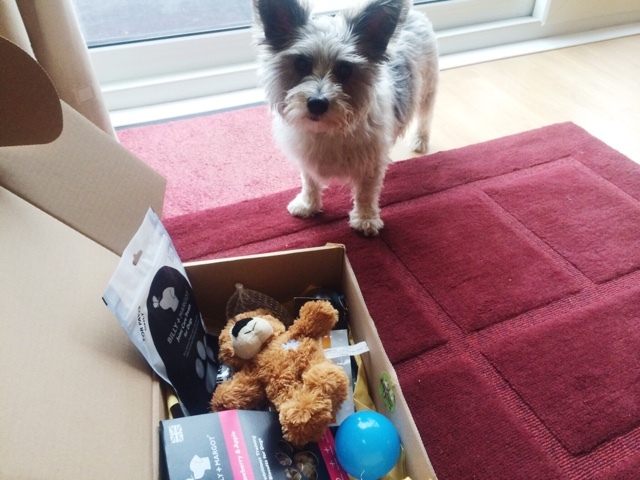 Woof-Box - A Monthly Subscription Box for Dogs? 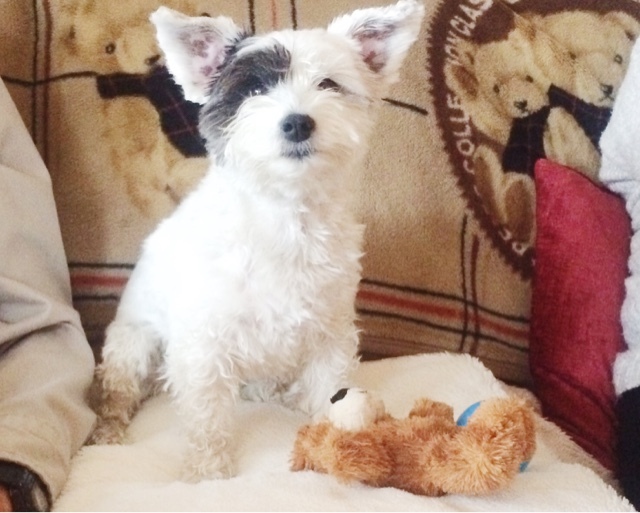 What is Woof-Box? 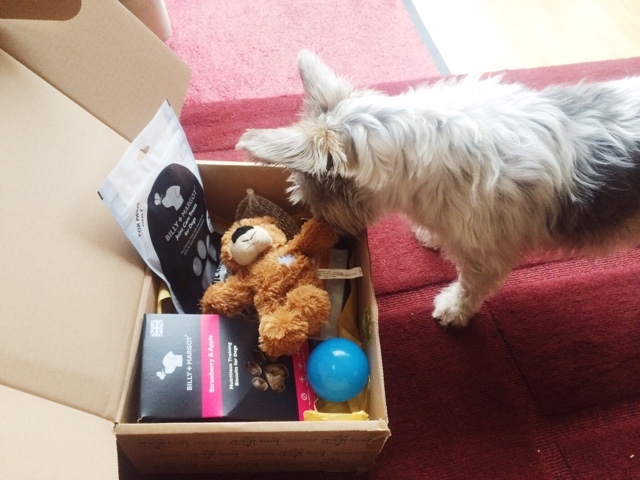 Well it's a monthly subscription service delivered straight to your door full of great quality dog goodies. 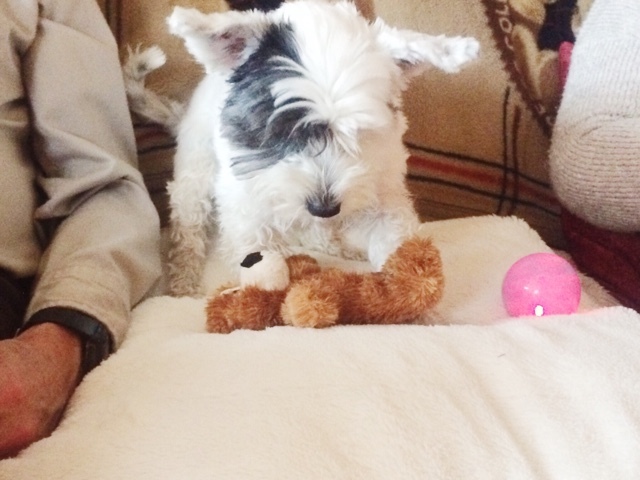 From treats to hygiene to toys. You can customise your box, and you can choose how long you have the subscription for. 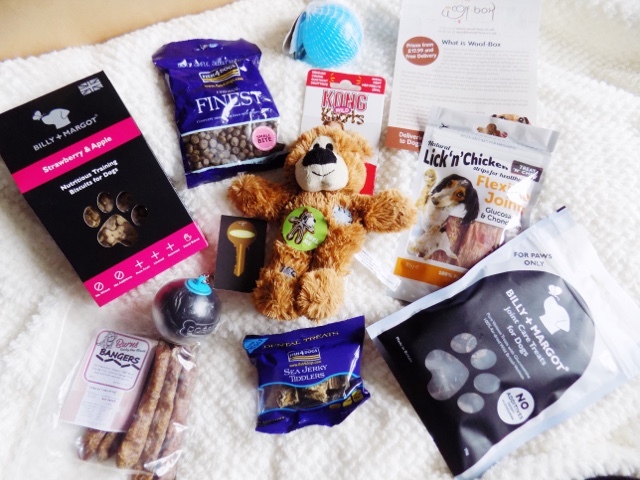 It's a great gift for Christmas as you can buy a gift box and get a 1 month, 3 month or 6 month subscription for any pet mummy or daddy, and get some great products sent to their door. Alright so what was in this first box? So we have a poo bag holder which you can attach to your dogs lead and in case of emergency, these are great as although I have umpteen poo bags in my coat pockets, I never have them when I need them. 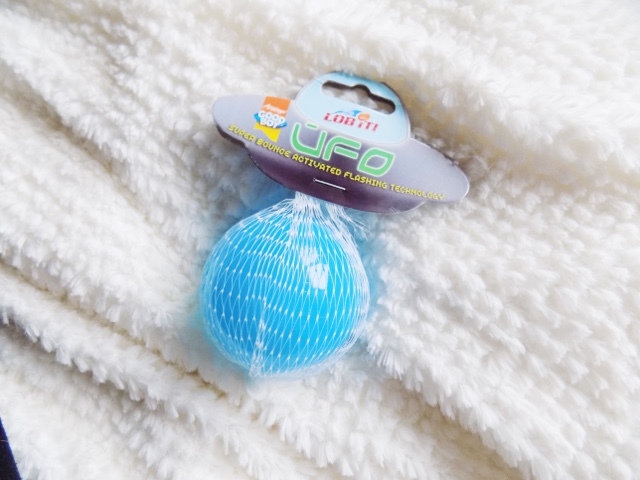 Here is a UFO Flashing Ball which flashes red and blue when bounced. Both my dog and my brothers dog (also sisters) absolutely loved and thought was the best thing ever. 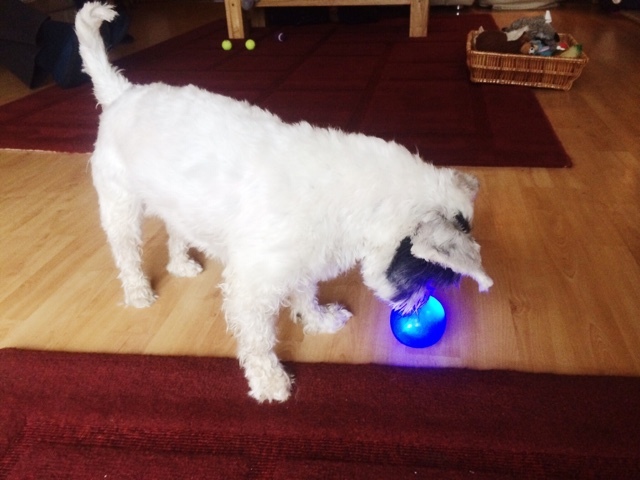 If you're a dog owner you will know the brand KONG as they have great food dispensing gadgets that makes eating their food much more entertaining. 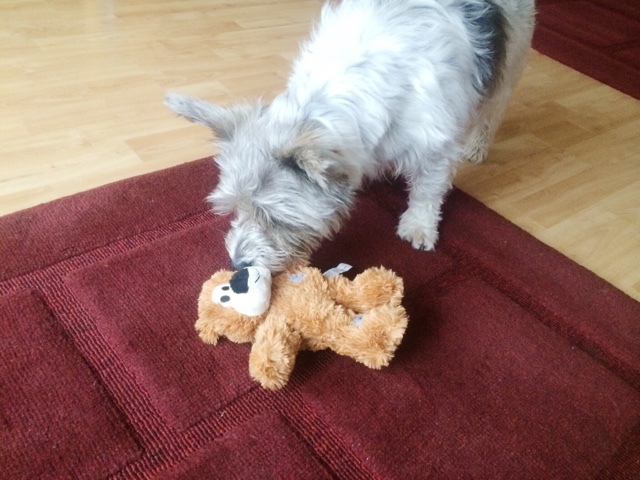 This little cutie is their Knotty Bear so rather than having fluff or whatever inside, it has rope with knots, so no ripping it open and finding fluff everywhere, it's great for a good ol' game of tuggy and the girls loved this as well. Now onto the treats and there was quite a lot in here, wasn't expecting it but you can customise your box if you don't want to get treats or whatever. 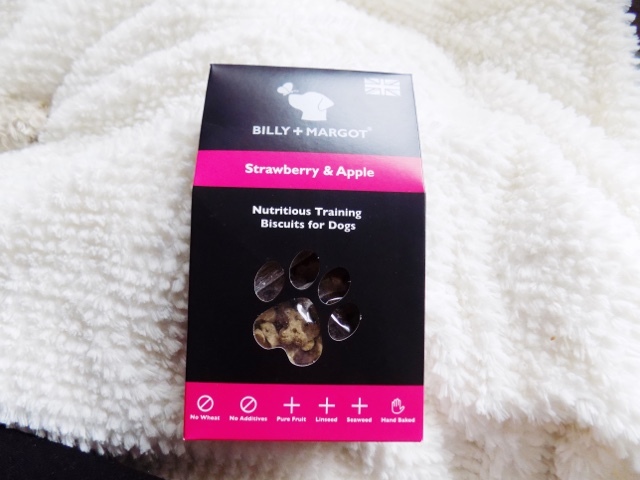 Anyway, these are Billy + Maggot Strawberry & Apple Nutritious Training Biscuits and I opened these straight away and they loved these, Not something they've had before but these are definitely great little bones for training, as the name suggests, because training isn't just for puppies, it continues and Darcy (my dog) is quite a disobedient little bugger when she wants to be so these are great for taking out on walks. 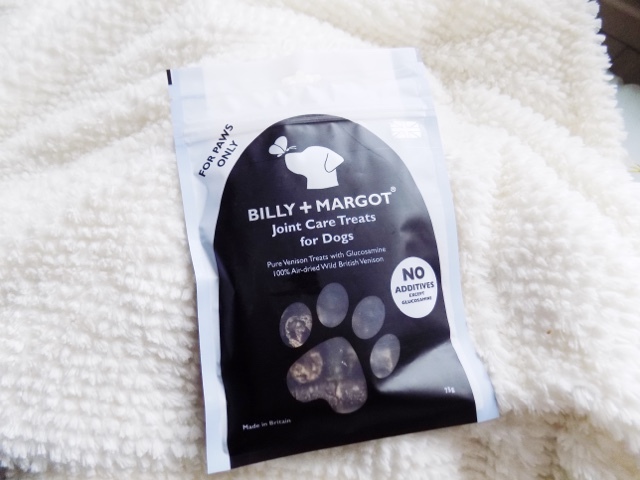 These are from the same brand as the training treats, Billy + Margot and these are Pure Venison Joint Care Treats and although Darcy loves these, I am very pleased they're only in small bite sizes as these can be quite potent with her but she loves these, haven't tried this particularly brand but I am sure she will love them. 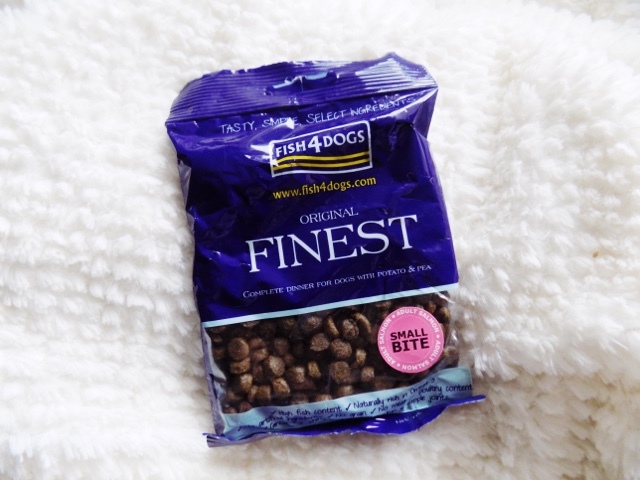 Next is Fish 4 Dogs Original Finest (Salmon) food and I have never heard of this brand but Darcy loves Salmon and these are great for adding in her KONG for when we go out or if she's being a pain and not eating her dinner. 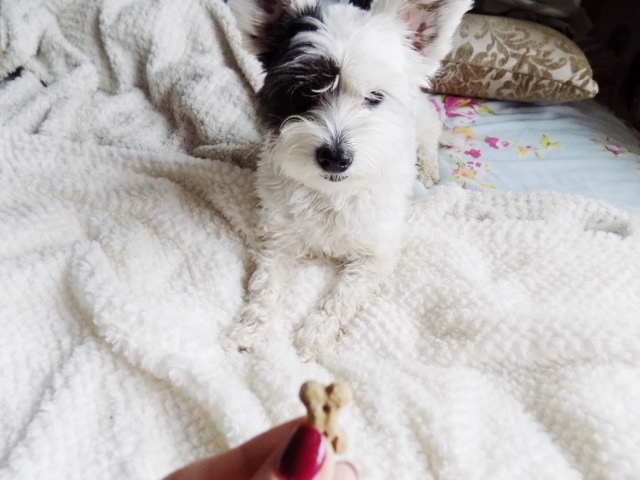 Darcy is also a massive fan of these too, again, not this particular brand I don't think but these kinds of treats she loves. 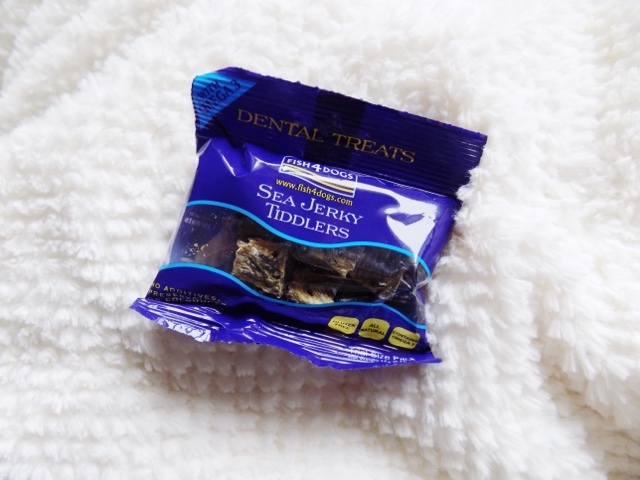 They are from the same brand as the previous food from Fish 4 Dogs and these are the Sea Jerky Tiddlers and it's basically dried fish in little pieces which I'll be honest, absolutely stink and look gross but Darcy absolutely loves these and thinks they're the best thing ever. I don't believe we have tried this brand before but this is a great little pack and I am sure they're not that expensive. 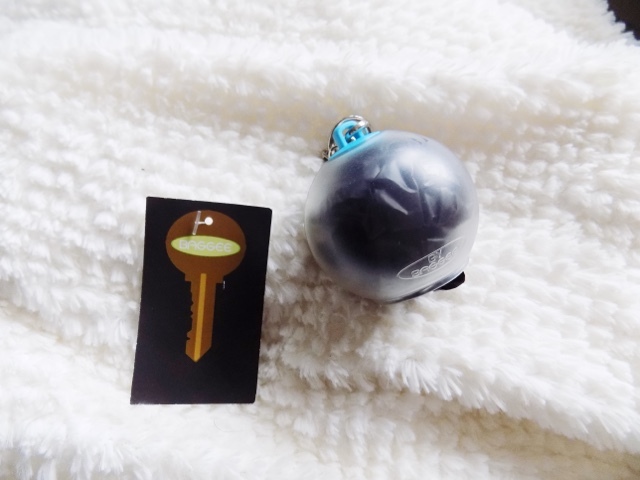 Which is the only annoying thing as it didn't come with a card or anything to say how much it was and I couldn't seem to find anything on the website about what's in the box so I guess because you can customise them they're different for everyone? Who knows. 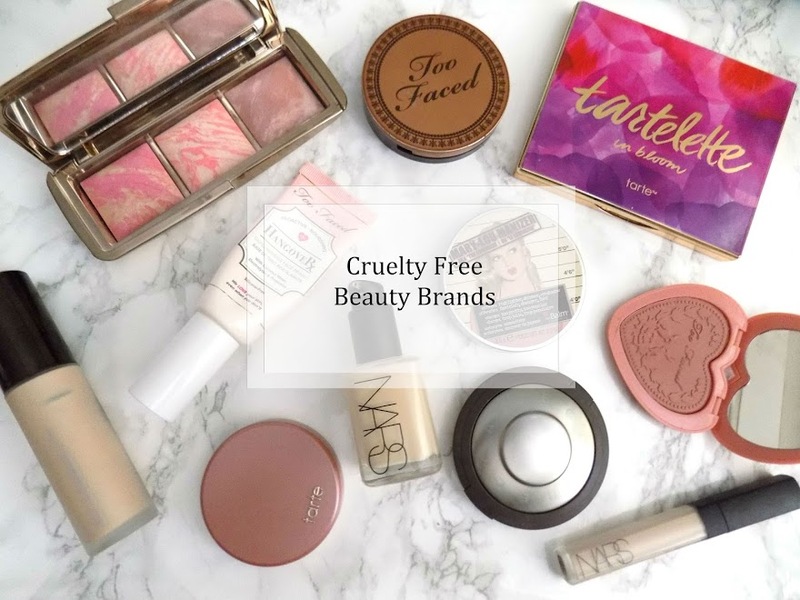 But you can get these from quite a few brands and they're pretty affordable. 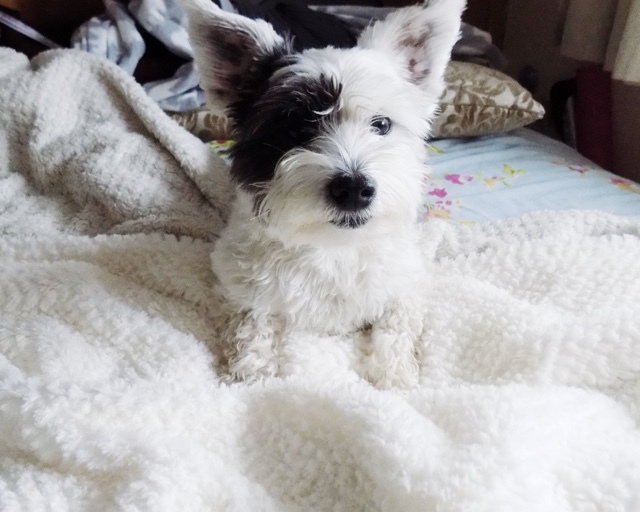 These were definitely the favourite of both dogs. 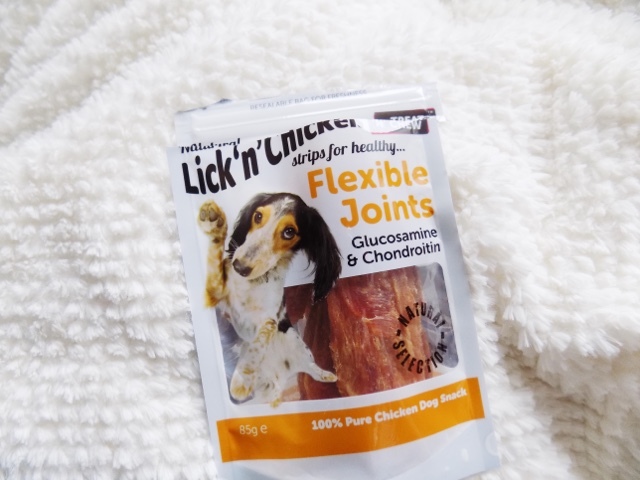 These are the Lick n Chicken Flexible Joints Glucosamine & Chondroitin Chicken Snack and basically it's dried chicken strips and these particular ones have joint care ingredients in but these were definitely favourites for both dogs and were what they kept going back to to try. You can get these kind of strip things in different meats too like duck, beef, lamb etc. We haven't tried this brand before but they're definitely a winner. Finally for the treats are the Burns Bangers and I'm not sure if either dog has tried these but they were trying to get them out of the bag as soon as they found them in the box. I didn't give them any as they had already had some of the other treats but I am sure they will both love them. Not sure where to get these from as I haven't seen them but I'm sure they have them in stores like Pets at Home etc. 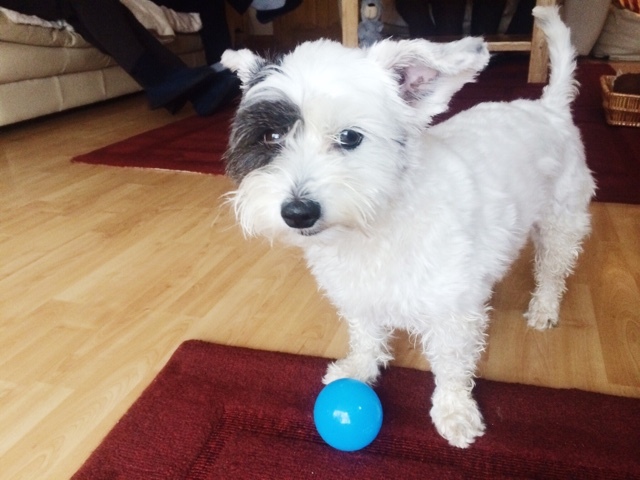 Alright so that's what was in the box, now for some incredibly cute photos of the dogs playing with the toys, trying the treats and generally just being curious about what was in the box. Having a good old root around in there. 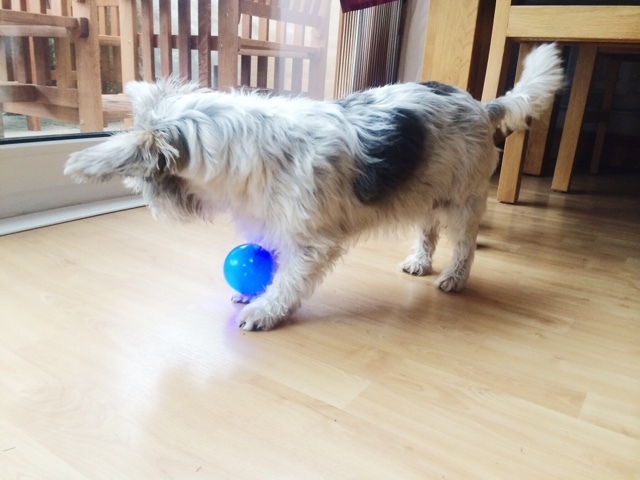 Chasing the UFO Flashing Ball around the room and under the table and everywhere. 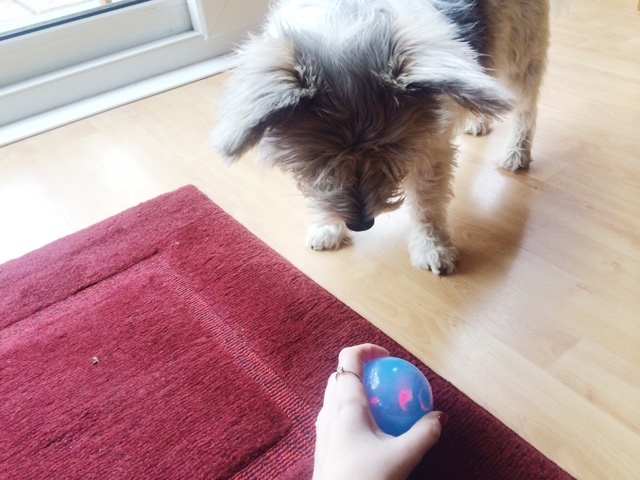 "You just try and take these away from me"
Darcy waiting for me to bounce the ball to her so she can catch it. 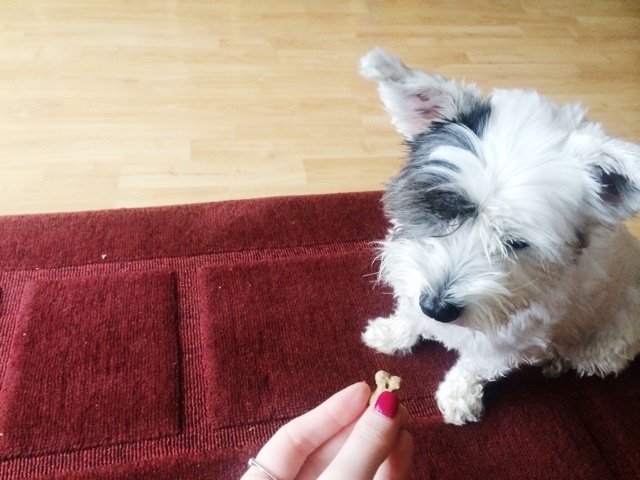 Izzie being very good and waiting for her treat. Darcy doesn't do that she just goes straight for it. Not a flattering photo of Darc but by this time she was done with playing and treats and just wanting to snuggle up and have a nap. I know this is something very different to my normal beauty posts but thought I would share this, mainly because I've never seen any subscription box like this and also because look at how cute these two girls are. If you want to check out a box for yourself or a friend then you can go to their website here. 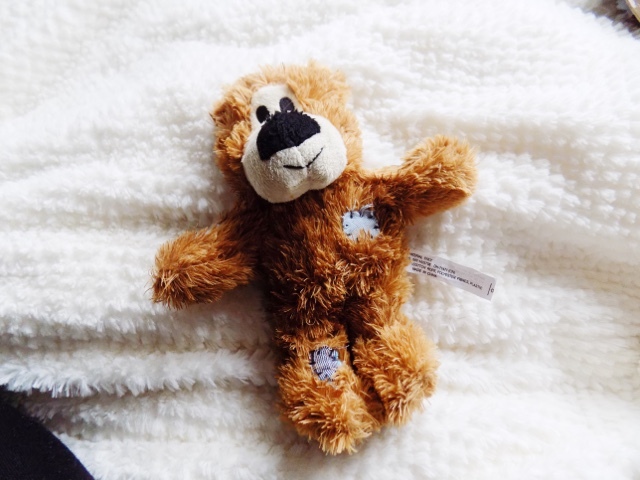 They have Gift Boxes, Customisable Boxes and a Puppy Box (£29.99 small puppy, £34.99 for large puppy with free delivery) which are all just so cute. Which for the amount I guess isn't that bad as you are getting a lot for your money. 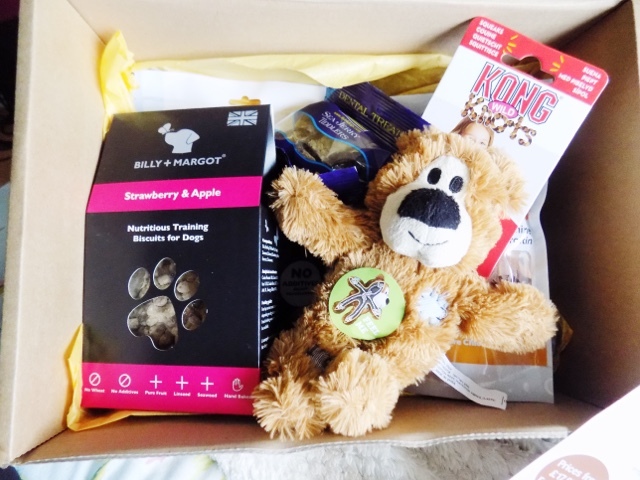 Overall, I think this is a great concept and a great first box, so you should definitely check it out if you have a dog that you want to spoil every now and then. They will love you forever. P.S. 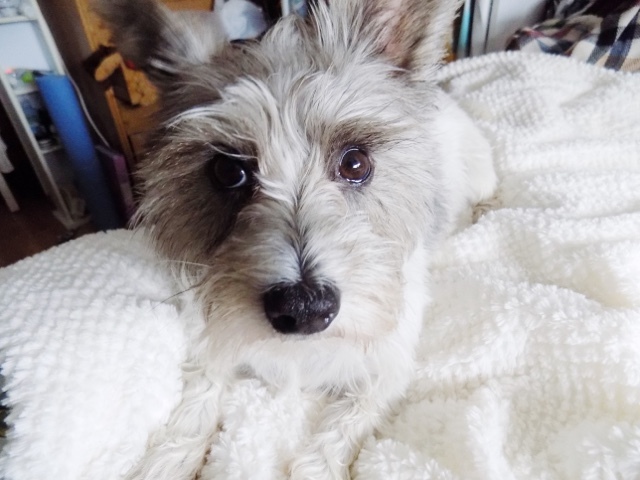 If you know dogs, trying to take photos of them and getting them to hold a pose or sit still is not the easiest of tasks so my camera roll after I took these was 75% blurred photos, images of tongues sticking out and lot's of ear shots. 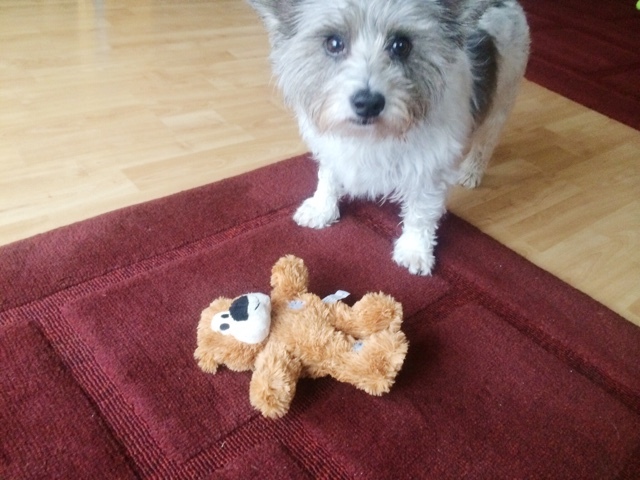 Plus, my dog Darcy is not a poser like Izzie is. 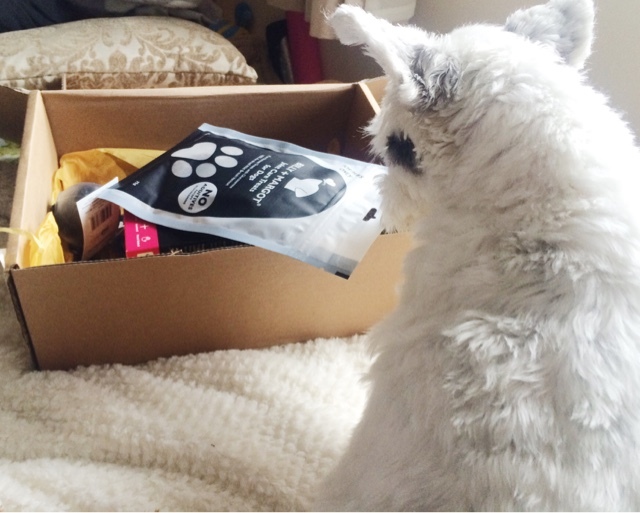 What subscription boxes have you tried? *Disclaimer - This post is not sponsored, I have not been asked to review this, I have simply wanted to give it a try.